Premium destination management services specializing in authentic excursions and events throughout Savannah and the Lowcountry. A fifth-generation Savannahian, Ann is no stranger to the charms of the Hostess City. Ann relishes in showing visitors the city she proudly calls home. 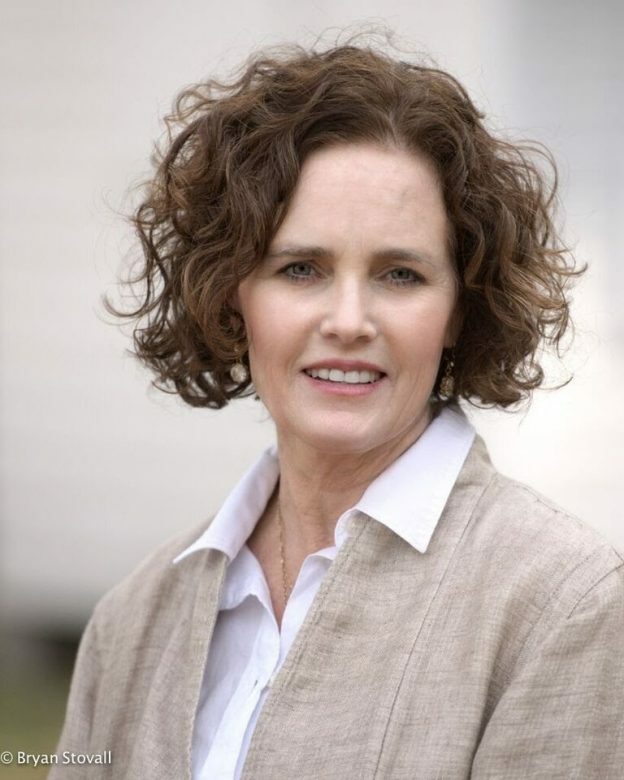 Recognized and frequently referred by Savannah’s most highly regarded organizations, Ann’s local expertise and undivided attention to meeting the vision of each client sets her and the Cobblestone team apart. Following in her mother Ann’s footsteps – but certainly not her shadow – Juliette brings a keen eye to the Cobblestone experience. Specializing in tasteful florals and distinct tablescapes, Juliette makes your corporate event feel truly personalized. 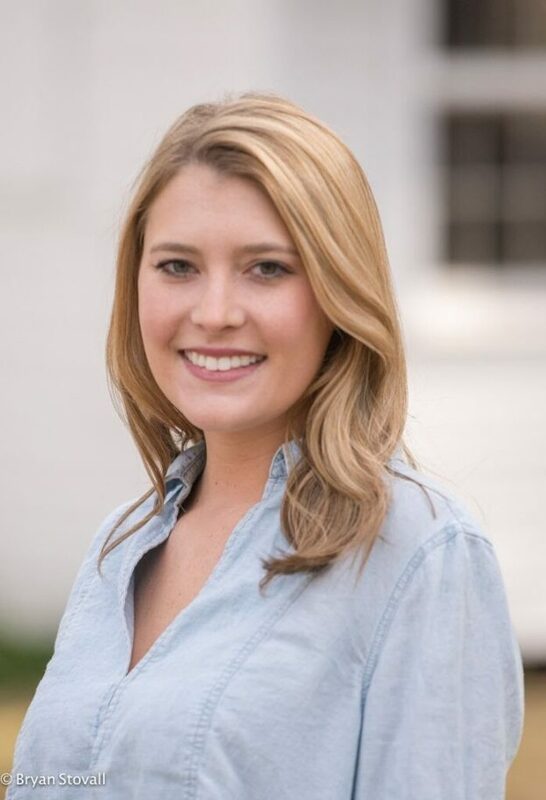 Juliette also enjoys sharing the Savannah experience through Cobblestone’s lens on social media. "We can't thank you and Erin enough for everything you did to make our program spectacular!! We've heard nothing but rave reviews and Blaise and Linda could not be more thrilled with the turnout. We truly could not have done it without your help, so thank you, thank you, thank you!" "It was an absolute pleasure working with you! You provided specialized guidance to us and we are grateful. Our Savannah experience was perfect. Thank you and your team for a tremendous job!" "You are the best of the bunch!! Thanks for providing excellent transportation, activities and dinner with tour. You’ve set the bar for all future DMC’s." "I'm going to miss you all. It's been an amazing and fun filled week. You and your staff were outstanding to work with. Until we meet again XOXO"
"Thank you for the outstanding program you designed and executed for Fifties Forum in Savannah. It exceeded our high expectations, and we rated it with our highest marks in every way. You and your associated were terrific and we appreciated it. We shall cherish our memory of Savannah, and you, and visit your city again." "I simply want to say THANK YOU. Our Leadership Conference would not have been great without the help of you, Juliette, and Cobblestone Connections! The Scavenger Hunt was a hit, everyone enjoyed Savannah Smiles, our Awards Banquet set up was beautiful and the charity event was so perfect and fun." "You have been a pleasure to work with and you made everything come together so smoothly. I absolutely love your spirit and attitude and hope to work with you again one day. If you are in Atlanta, don’t be a stranger." "I want to thank you for all you did to help make Tech Data’s Tech Select event a huge success! I so appreciate all you and your team did to make our event shine! From the fabulous décor, outstanding entertainment, special touches, flawless transportation and off-site activities, you all delivered 110%!! Working with you was one of the best experiences I’ve had in my many years of event planning!" "I would like to thank you again for your time last week, your hospitality, and giving us a detailed overview and options for our CONNECT event. We are very happy we will be working with someone like you, who knows the city so well, and established in your field of knowledge and putting together successful events." "On behalf of the Limeade Team, I wanted to say thank you for your amazing partnership over the last 9 months. You truly brought to life the vision of Engage and I’m so happy to have had the opportunity to work with you. Please share our thanks with the rest of your team – it was magical." "Thank you again for your hospitality last month. Your local knowledge is invaluable in planning the details of the Tandus program." "Thanks so much for all of the help you have given to us and to our group. You were a delight to work with and we sincerely appreciate all you did to make our visit to Savannah such a success. And the lunch at Mrs. Wilkes' was fabulous! Thank you again for everything!" Discover the city’s charm, as you depart your hotel property and explore the National Landmark Historic District with fifth-generation Savannahian Ann Howell. You will find yourself immersed in the lush oaks and rich architectural history of downtown, and you will tour off-site venues such as the Roundhouse Museum, Fort Jackson, The Olde Pink House, and other destinations that meet the needs of your group – all having a distinct role in shaping Savannah’s nearly 300 year old history. You will also have the opportunity to take in some of the city’s “new” as you shop the Downtown Design District — home to quirky & charming design and décor retailers. Lunch is just around the corner as Ann introduces you to Mrs. Wilkes Boarding House, famous for its Southern cuisine and family-style dining. After lunch, get a taste of the low country’s salty breeze with Miss Judy Charters. A Savannah native on Wilmington Island, Miss Judy will share stories of her childhood on the water. Head back into town and top off the day with a sweet treat at one of Savannah’s famous dessert parlors: Leopold’s Ice Cream, Back in the Day Bakery, or Savannah’s Candy Kitchen and Sweets. Southern hospitality at its finest. Travel by trolley to Savannah’s Central of Georgia Railway Roundhouse; the oldest and most complete antebellum railroad manufacturing and repair facility still in existence in the United States. Construction of the site by the Central of Georgia Railway began in the 1850s and thirteen of the original structures are still standing. Included in these structures are the massive Roundhouse, the operating turntable and the 125-foot smokestack. This site is a designated National Historic Landmark. History comes to life as guests enter to enjoy a Locomotive Diesel Engine Demonstration. 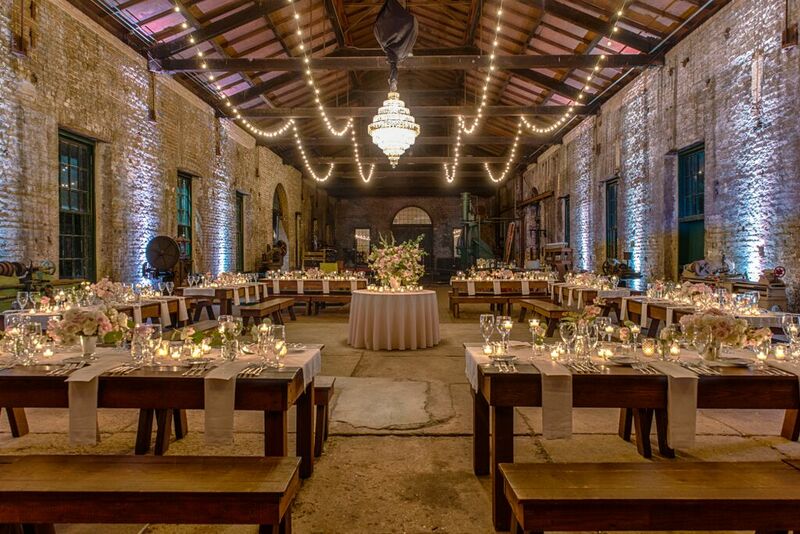 After, a cocktail reception with small bites awaits within exposed brick walls and historic railcars. A stationed history guide is available for tours as well as a vintage photo booth to capture memories with your fellow guests. After the reception, attendees are seated under the Overnight Shed for dinner, complete with white linen tables, reclaimed wood benches and overhead string lighting. Dessert is served in the nearby Blacksmith Shop as guests are led by a fiddle and banjo player past the brick smokestack. Enjoy hand dipped ice cream from Leopold’s and warm pralines from Savannah’s Candy Kitchen as guests continue to appreciate each other’s company around the bonfire. Curated by fifth-generation Savannahian and Cobblestone Connections President Ann Howell, this one-of-a-kind signature tour will let you in on a secret that locals have known for centuries: there is truly no place like Savannah. You and your guests will be picked up via trolley and taken to the heart of Savannah’s Historic District. From there, you will begin a walking tour of three of the Hostess City of the South’s beautiful historic homes, including the Mercer-Williams House from the popular novel and film Midnight in the Garden of Good and Evil. Grand antebellum manors, lovingly restored house museums, and homes privately owned by generations of Savannah families await you as you step out on to the charming cobblestone streets. Strolling from home to home under a canopy of Spanish moss-draped oak trees and lush greenery, your group will take in the magic of the city. Each stop promises exclusive access to upscale historic houses that are not typically open to the public. However, thanks to Cobblestone Connections’ years of experience and professional reputation, these historically and architecturally significant mansions will open their homes to you and your group. After an afternoon of history, culture and hospitality, your party is invited to enjoy a refreshing glass of lemonade or Southern sweet tea from one of the quaint local cafes or hip restaurants located in the Historic District. Get ready for a shopping excursions starting in the fun and funky Downtown Design District, which boasts some of the most under-the-radar clothing boutiques, accessory shops, antiques, furnishings, and fine gifts you’ll find in Savannah. Under a picturesque canopy of oaks and magnolias, these shops – including One Fish Two Fish, James Hogan, No. 4 Eleven, and more – offer the opportunity to sample an eclectic array of jewelry, art, clothing, fashion, and adornments and mingle with shop owners. Following the Design District, travel down Bull Street by foot to shopSCAD. The talented community of artists at the Savannah College of Art and Design (SCAD) is an ever-changing, collaborative force of creative individuals who have showcased fine art in the most exclusive galleries, adorned celebrities with jewelry on the red carpet, featured handbags and accessories in premiere fashion magazines, and produced home goods that are featured all around the world. ShopSCAD reflects the energy of these artists and is a favorite with locals and visitors. The shopping continues North to Liberty Street and then further North to Broughton Street (Downtown Savannah’s “Main Street”) where you’ll find hip boutiques, some popular national brands, galleries, and unique gourmet shops. The Broughton stops will include local favorites such as The Paris Market and Brocante (voted “The South’s Best Shop 2017” by Southern Living Magazine), Savannah Bee Company, and Globe Shoe Company, to name a few. In-Room Gift Drops, Speaker Selection, Staffing and more. In need of a little Southern hospitality? Come and sit a spell, we’re here to help!